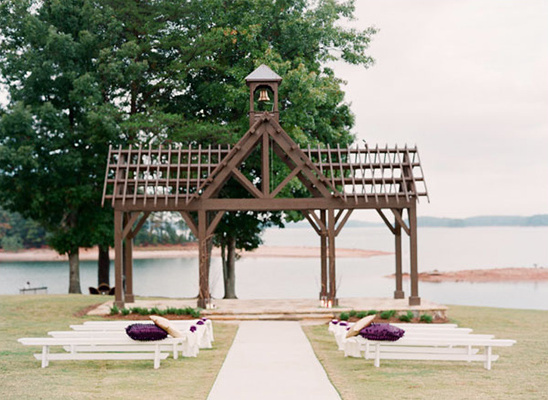 An extremely talented group collaborated to show us how beautiful a wedding at Lake Lanier Islands in Buford, Georgia could be. 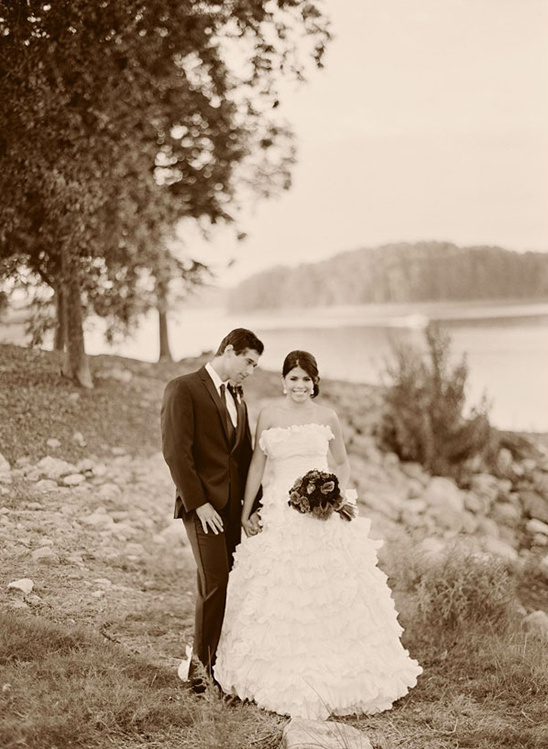 The shoot was designed and coordinated by Lake Lanier Islands and captured beautifully on film by Odalys Mendez Photography. 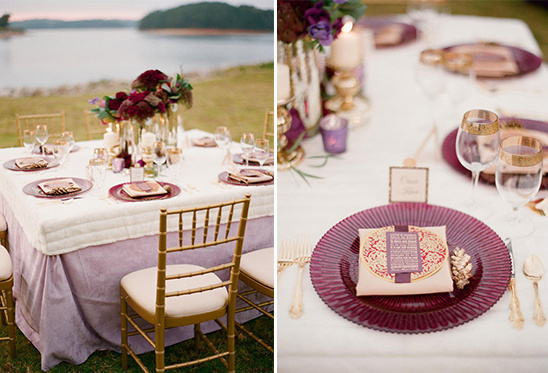 They used a rich color palette of purple, ivory and gold against the rustic lake setting, and put together a design inspiration that was romantic, warm, and had a hint of glam at one of Georgia's most beautiful lake wedding venues. 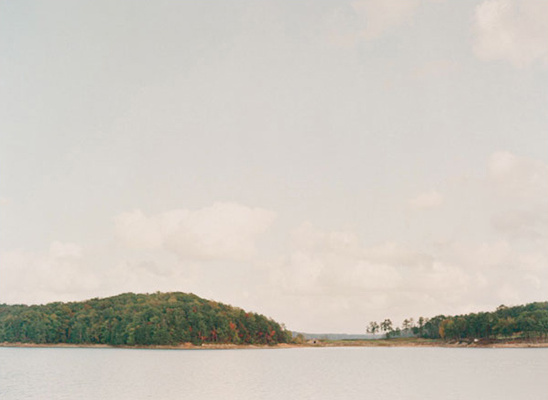 We can already see your Lakeside wedding there. 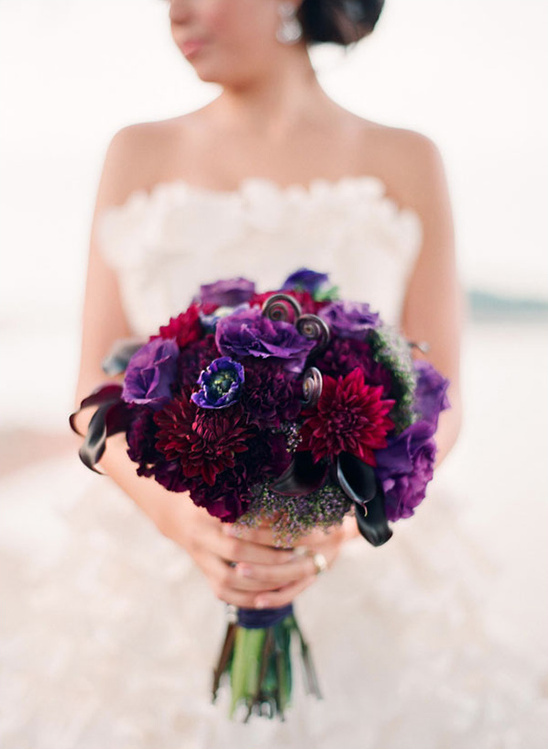 Enjoy more purple, gold and ivory wedding ideas in the full gallery here. 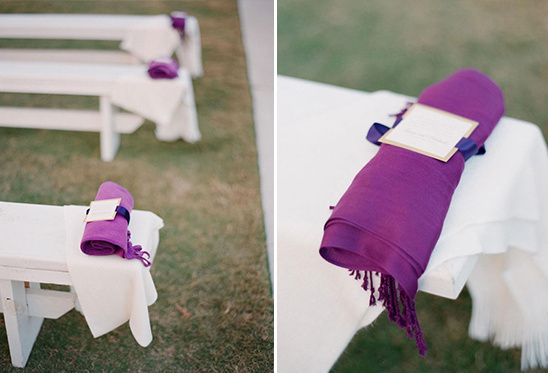 We love this idea especially for an outdoor ceremony and are dying over the bride's gown.For the ceremony set up, we used white benches for seating and welcomed guests with large pillows and ivory and purple pashmina scarves. The ceremony altar was accented with branches, candles, and greenery. Fabulous Frocks of Georgia provided a stunning Oscar De La Renta gown that was full of ruffles and texture. The gown was beautifully accented with accessories by Fine and Fleurie and hair & makeup by Scoobie West. The Modern Gent styled our "groom" to perfection in a black suit and tie. 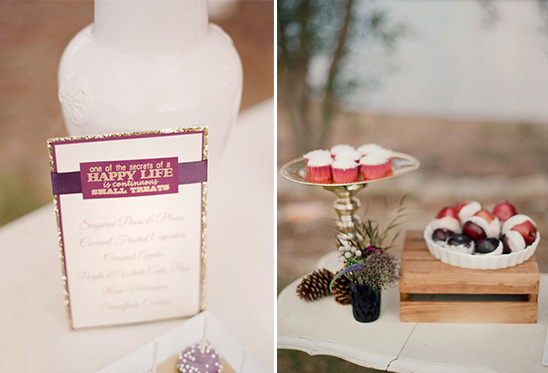 Our stationer, Papered Wonders, created all the stationery pieces for the shoot. 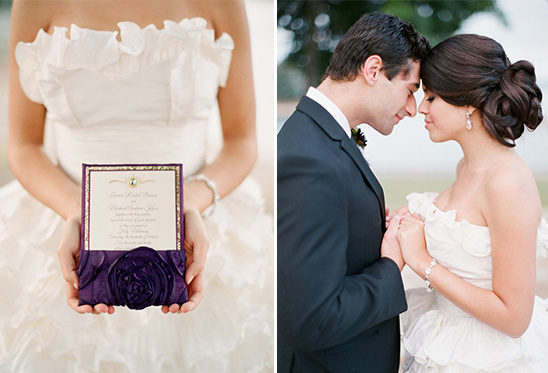 The invitation was enclosed in a beautiful purple rosette pocket. 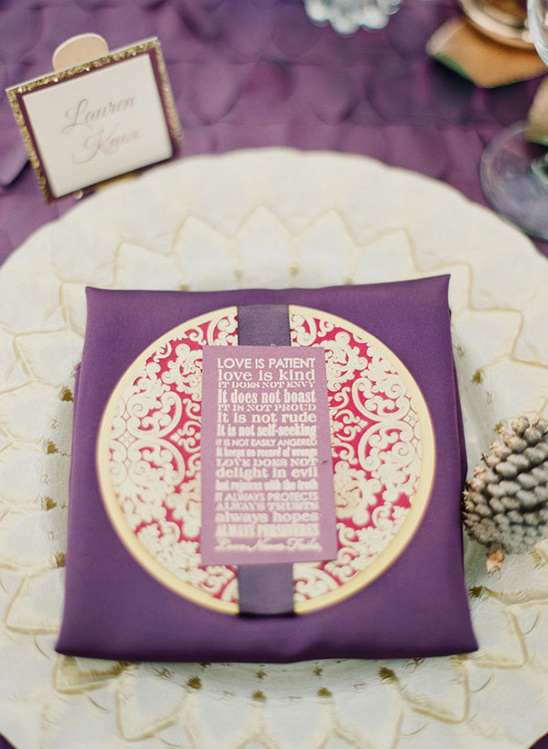 We loved the menu cards which featured a love quote. They also made a keepsake wooden favor box that held specially wrapped goodies for guests to enjoy after the wedding. 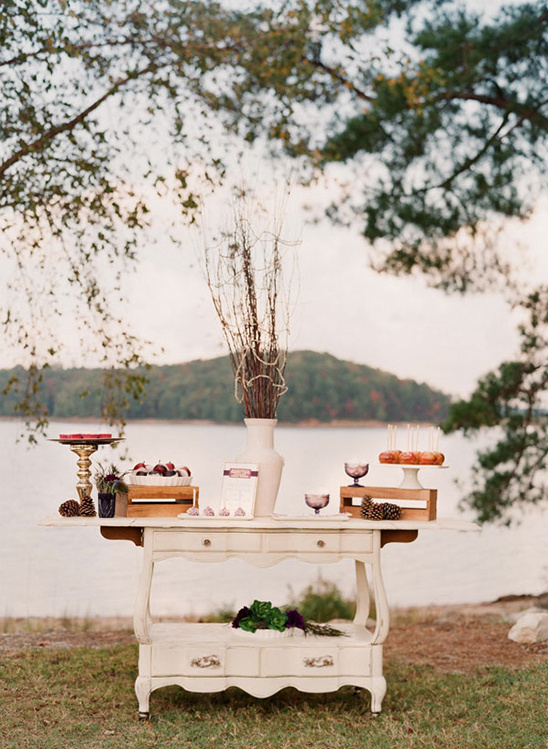 The main reception table was accented with a purple suede linen and white fur cap by I Do Linens. 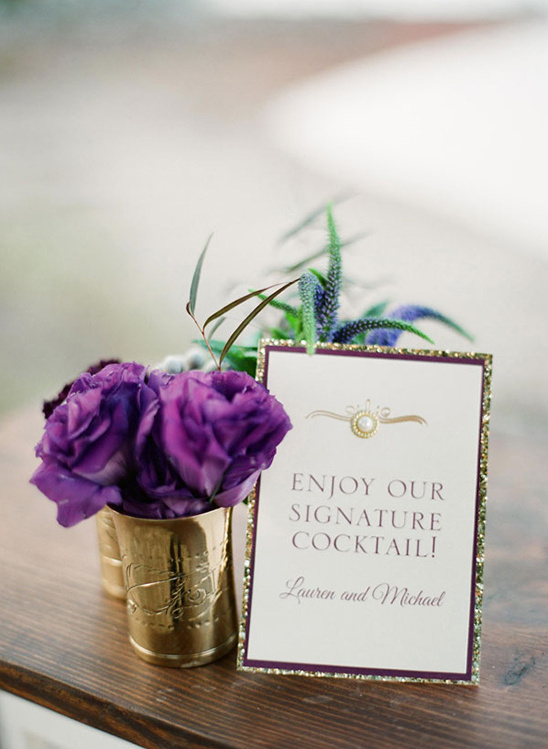 For the place settings we used purple glitter chargers, gold flatware and gold rimmed glassware. 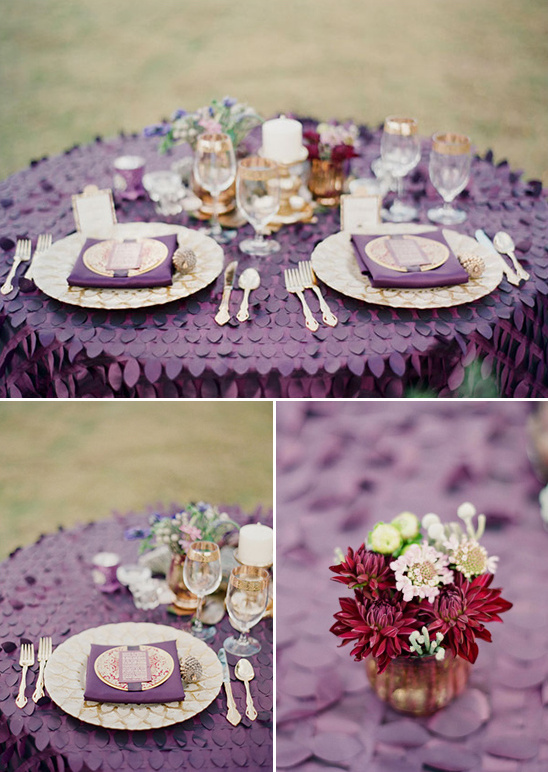 For the sweetheart table, we used an eggplant petal linen with gold place settings. 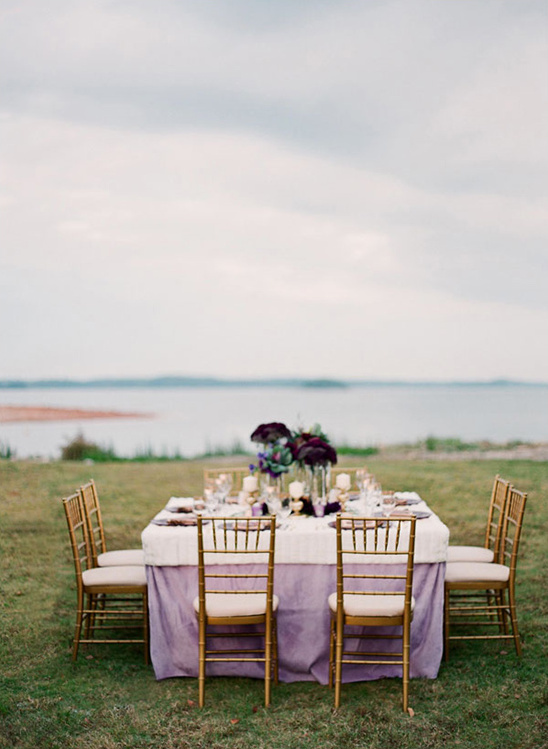 The bride and groom chairs were accented with a beautiful floral chair treatment. 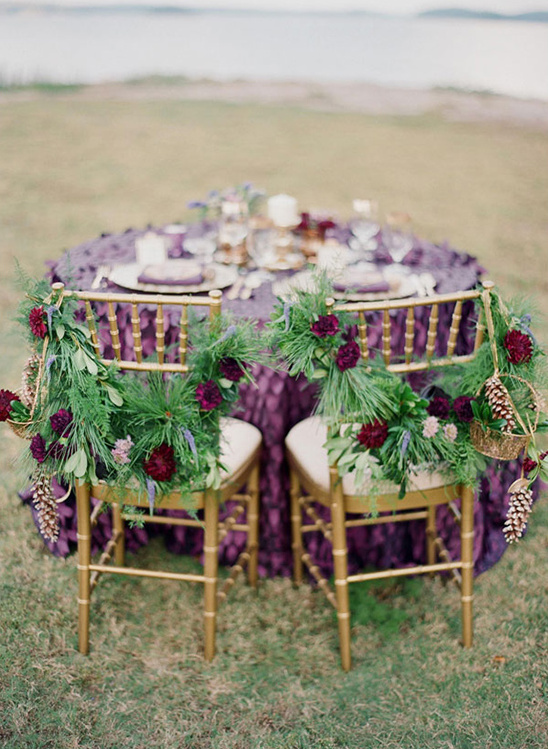 All of the floral pieces by Gertie Mae's Floral Studio featured varying shades of purple and green accents inside rich gold containers. The desserts hand crafted by Sugar Style Events, were displayed on an antique buffet provided by Bash Factory, and incorporated Sugared Pears & Plums, Coconut Frosted Cupcakes, Caramel Apples, Purple & White Cake Pops, hand crafted Rose Meringues, and Snowflake Cookies. 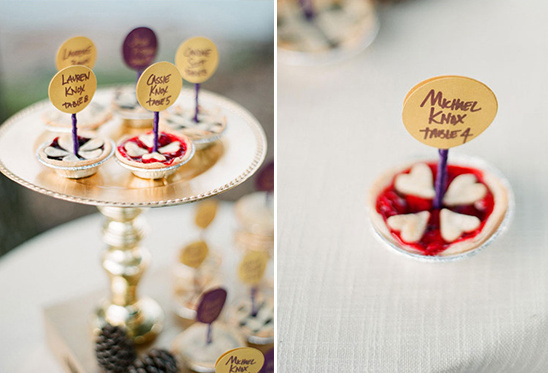 See all the desserts in the full gallery here. 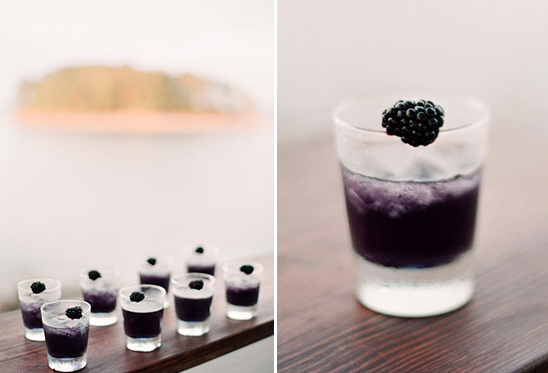 • Blackberry for garnish Combine all ingredients in cocktail shaker and pour over ice into little shot glasses. 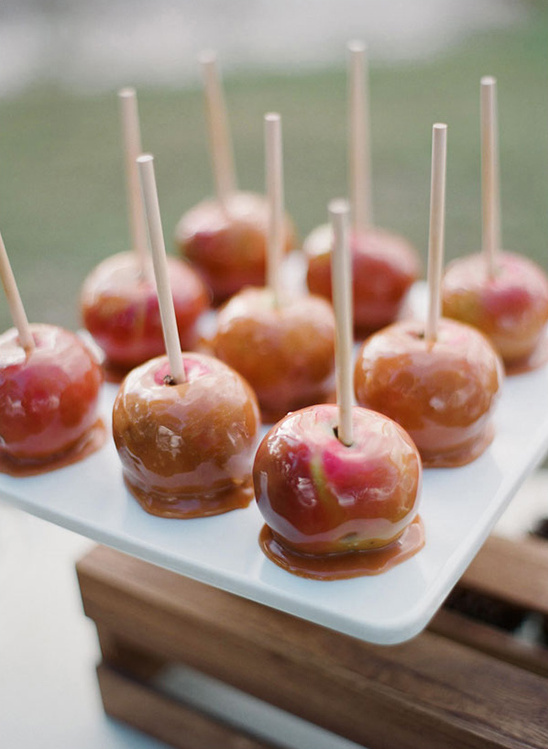 So delicious and such a little treat.